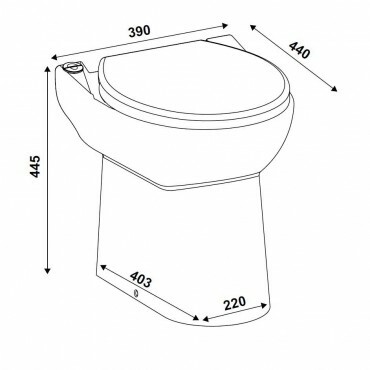 The solution for installing a toilet and wash hand basin anywhere in no time. most of the smallest spaces. The perfect answer when conventional plumbing isn’t possible or too disruptive. 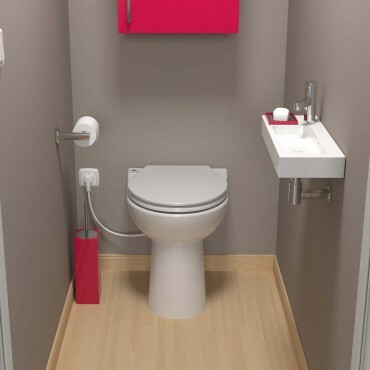 With its 43cm of depth, it is ideal for accommodating small spaces: studio apartment, cupboards, replacement of a bidet, under a staircase, etc. 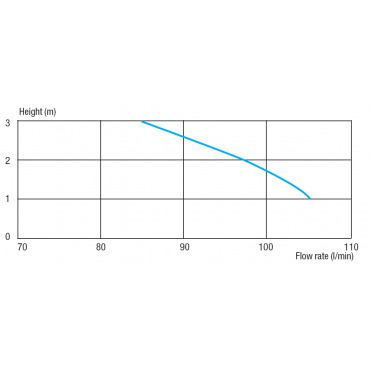 In addition its small 32 mm discharge diameter allows a discreet installation. 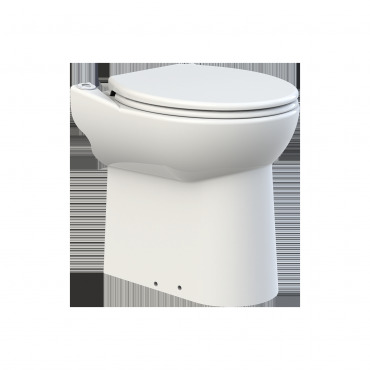 Equipped with the new economic dual flush "ECO +", the SANICOMPACT 43 only uses 1, 8l to 3l of water per flush.